Currently holiday travel volumes are some of the highest in the last decade. Arriving at the airport and having a limousine pick you up rather than having to get a taxi or rent a car will leave you feeling luxurious, and take away any stress. Any vacation should be stress free and a limousine will take away any stress of your trip. Hiring a limousine will take away any guessing as to how to get to a specific hotel, restaurant or other venue. You and your friends or family can arrive in luxury and cruise the town in a comfortable roomy limousine. If it’s to the airport you are traveling, a limousine is not out of the question. Avoid leaving your car at the airport for days or riding a crowded airport shuttle. Hire a limousine to drop you right at your gate and take the hassle of driving to the airport on your own out of the equation. A great way to impress your visiting relatives is to have them picked up from the airport in a limousine. You will blow their minds when they are touted around town in a luxurious limousine, seeing all the local sights and hot spots. You will make a memory that they will never forget. A limousine takes all the annoying travel hassles away and allows people to truly enjoy their visits to museums, restaurants, clubs and sporting events. A limousine adds to the ultimate experience of a night out on the town. Summer travel can make the city a busy place, with unfamiliar traffic, wrong turns and even getting lost. When you hire a professional limousine service to taxi you around town, you will never make a wrong turn, get lost in traffic or end up at the wrong place. A professional limousine service will ensure you are on time to your show, party or sporting event. There will be no traffic mishaps or having to ask anyone for directions. Your night will be taken care of on that front. A limousine will complete your ultimate summer vacation and allow you to truly enjoy all the local sites you came to see. Even if you need a ride to one event or if you desire to be driven around the entire weekend or even week, Pam’s Pretty Limousines will assist you in all of your vacation transportation needs. You will feel like a celebrity riding in the lap of luxury from one location to the next. Call Pam’s Pretty Limousines for the ultimate limousine experience and a summer vacation that you will never forget. 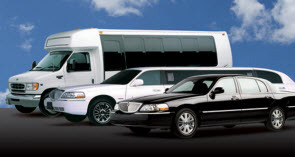 Most limousine companies offer their services for any and all types of events. When it comes to a wedding the arrival times could make you into a happy bride to be or a bridezilla. Here are some tips on what you should do when you hire a limousine to drive you around for all your wedding events. Before you make any calls you want to make sure you know what events you are going to require their services for. You might want a driver for your bachelor and bachelorette parties. 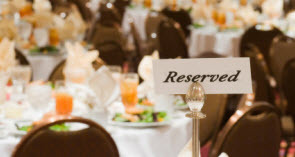 There is also usually a rehearsal dinner that the wedding party and families go to and last but certainly not least is the wedding itself. The timeline of the wedding events has probably been one of the most stressful things you have been looking at for the past few months. By the time you hire a limousine service you probably have it memorized and you have it running through your dreams. This doesn’t mean that everyone does, so take time to write down a neat and organized itinerary that you can fax or email over to the limousine service so they are aware when and where they are needed. You should also include the amount of guests that will need a ride at each location. As the bride to be you want to be informed about every decision and where all the planning is at. One thing you do NOT want to be doing is giving directions or talking to a limousine driver a few hours before the wedding. Assign someone that knows the itinerary well and knows the local area of the wedding events too. Your designated liaison can be the one to take any calls or questions so the bride and groom don’t have to worry about that aspect. Now that you have an itinerary and you have the limousine service scheduled you need to make sure you know what the cost will be in advance. Go over the details and the directions before the actual event and have a total ready. You also want to make sure that you have access to your money or payment option the day of each event. It is also a good idea to have cash on hand to tip the chauffeured driver. We invite you to contact Pam’s Pretty Limousines for all of your greater Chicago transportation needs. If you are looking for a way to arrive in style or impress your friends with a night of luxury and entertainment, it is time for you to contact Pam’s Pretty Limousines. 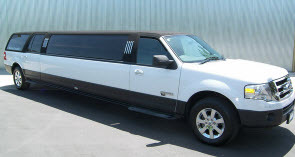 Pam’s Pretty Limousines offers the best limousine tour service throughout Chicago. Hiring Pam’s Pretty Limousine service for a limousine tour throughout the city of Chicago will provide an excellent and memorable night for you and your family or friends. You will be shown the best parts of the city while riding in the lap of luxury. Pam’s Pretty Limousine tours visit all of the hot spots that Chicago has to offer. Make a dinner reservation at Meyer’s castle and arrive in style. Meyer’s Castle was built as a replica of a Scottish castle and offers tours and a great dining experience. What better way to arrive than in a Pam’s Pretty Limousine. We will also make stops at Chicago’s Home of Chicken and Waffles. You will not find a more comforting and satisfying meal. If you are in the mood for some performance arts, Pam’s Pretty Limousine also offers transportation to such highly acclaimed attractions such as the Harold Washington Cultural Center. Arriving in a limousine from Pam’s Pretty Limousine service will only add to the experience and give you and your friends an effortlessly enjoyable time. Chicago is home to the best and most competitive sporting programs in the nation. Whether you are going to the United Center to watch a Bulls game, heading to Wrigley Field to cheer on the Cubs or you are a diehard Bears fan and going to Soldier Field, there is only one way to arrive and make a grand entrance. Pam’s Pretty Limousine service will provide you and your party with top of the line transportation and take the worry of parking or walking long lengths to get into the game. Up your game from a fan to a super fan by arriving at your teams venue with style. Travel along North Michigan Avenue in style to the John Hancock Center. The John Hancock Center retail is located high above the Magnificent Mile and is rated an absolute must do by tourists. Pam’s Pretty Limousine service also visits other fantastic shopping sights of Chicago like the Jewelers Row and Gurnee Mills Mall for excellent window shopping and purchasing of souvenirs and mementoes of your visit. Pam’s Pretty Limousine will ensure that you and your party see every sight you desire while riding in luxury across town and enjoying all the sights and sounds Chicago has to offer. Contact Pam’s Pretty Limousine service today for an enjoyable experience you will never forget.